Eery, mysterious, hanging from their toes by sheer will. Turn the picture upside down, though, and the interpretation of these night creatures shifts. 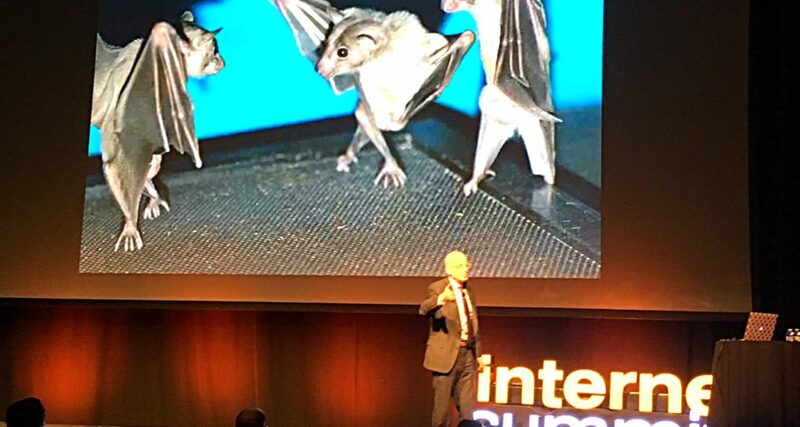 As Seth Godin — keynote speaker — said, “now they’re just cool bats.” Bats breakin’ it down, whipping out the moves to some silent disco tunes. The Internet Summit 2017 brimmed with entertaining quips like these, along with a host of data-rich sessions featuring marketing industry leaders. From social media strategy and “Monty Python marketing” approaches to creating data-driven customer experiences and retargeting B2B digital ads, the Clairemont team spent two days geeking out on our favorite marketing and communications topics. And for fun, one of our sessions utilized Beyonce’s moves to inspire marketing strategy. We didn’t hate that. Want to collaborate on something cool for your company? (We can’t promise Beyonce-style dancing.) Give us a holler!